This post describes how to install and configure TightVNC 1.3.10 on Oracle Enterprise Linux or Red Hat Linux. TightVNC is a free remote control software package, giving you full remote access to your Linux desktop. It is free and very network efficient. For more information, check out http://www.TightVNC.com. 3. Set a VNC password. This will be used required by your VNC client when connecting. The default port is 1.You may or may not want to change that. Simply add the following line to the end of your /root/.vnc/xstartup file, and restart. Note that the example below sets the VNC port to 7777, as we are defaulting our display to 1. 2. 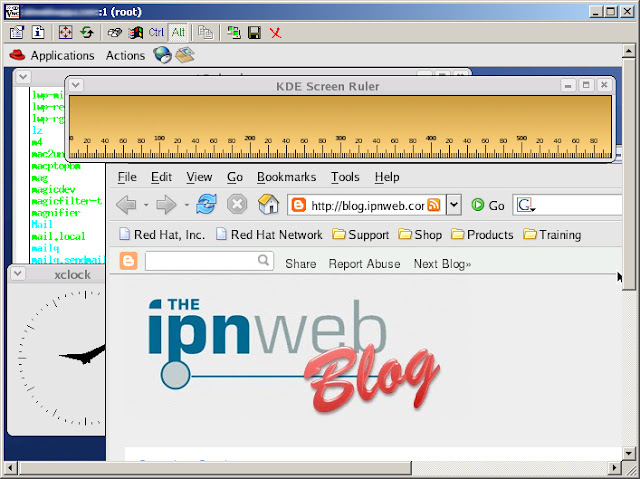 Simply enter the IP address or hostname of your server, followed by the VNC port number. 3. Enter the VNC password when prompted. Make sure to occasionally monitor the /root/.vnc/<hostname>:1.log file, as it grows out of control.